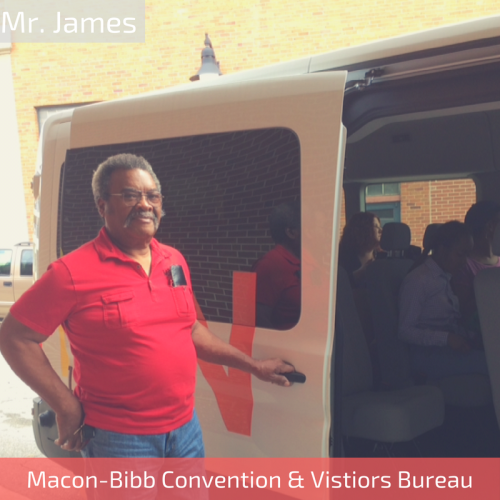 Mr. James is the Macon CVB&apos;s Van Tour Driver. He drives the &apos;Soul Bus&apos; as tour guides show off our city to guests every other weekend on a Guided Van Tour of Macon. Mr. James is rather quiet, but when asked what he values most in life he said, "I value family, community, and enjoy sharing Macon&apos;s unique history with visitors."